I'm delighted to have been able to interview Frances Bell, equestrian artist. 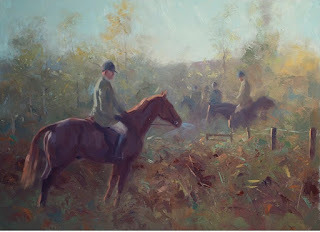 I have seen a lot of sporting art over the years, and what I love about Frances' paintings are her fresh take on horses at work. We're all familiar with the traditional portrayal of horses galloping over fields, but Frances' works take another view.